Whatever the occasion, you'll never have to worry about buying the wrong gift again when you send a Prepaidonline gift card. After you purchase, you will receive a gift card pin code by email instantly. To redeem the gift card, just enter the pin code in the shopping cart. Your purchase will be deducted from the gift card value and any leftover "change" automatically credited to your account to be used anytime you want. Whatever the occasion, you'll never have to worry about buying the wrong gift again when you send a Prepaidonline gift card. After you purchase, you will receive a gift card pin code by email instantly. To redeem the gift card, just enter the pin code in the shopping cart. Your purchase will be deducted from the gift card value and any leftover "change" automatically credited to your account to be used anytime you want. For any Holiday, Birthday gift ideas, Wedding gifts, Thank You, last Minute, Corporate Gifts, Allowances. 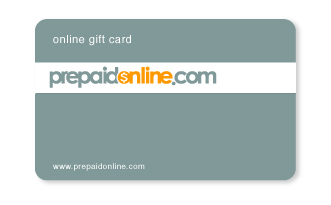 Whatever the occasion, you'll never have to worry about buying the wrong gift again when you send a Prepaidonline.com Gift Card. Always the right choice. However your recipient prefers to call, be it Wireless Airtime Refills, Calling Cards or any other product or service we offer - they'll get exactly what they want, when they want it using the Prepaidonline.com Gift Card. Sending the gift card is completely hassle-free! Don't waste time deciding what to buy, simply select the amount you'd like to send -- from $25 to $100. The fastest and easiest way to gift . It's an electronic gift card! All eGift Cards arrive via e-mail or to the e-mail address or mobile phone number you will specify during redemption or checkout process. Your gift recipient can then use his/her eGift Card to buy anything available in the stores and on website of eGift merchant selected. It’s the perfect way to say Happy Birthday, Thanks, Congratulations and Happy holiday - or to make someone’s day better. It’s so quick and easy. You can email one or more of eGift cards at any time – and it’ll arrive within minutes. It’s the easiest way to give a gift.